But just as the legends of the game never rest on their achievements, the spirit of excellence drives this partnership forward. In 2019, IBM will provide AI-powered highlight generation capabilities to the Masters’ editorial team. Furthermore, a new and unique experience is available for viewers to watch the best highlights of a competitor’s Round in Three Minutes. This technology from IBM Watson Media analyzes video from every player and scores every stroke based on characteristics that may indicate a significant or exciting moment. Every hand raised in triumph and fist pump is seen by Watson. The solution also keeps an ear to the crowd, measuring not only decibel levels, but the characteristic rise and fall of cheers that indicate something highlight-worthy has occurred. Using AI from Watson, these excitement factors are scored, combined and ranked to create a highlight clip, helping onsite production teams and patrons tuning in from various digital platforms engage with Masters content in new ways. With every thrilling drive or long putt comes the near-instantaneous demand from viewers to view the content and marvel at the skill of the Masters’ competitors. But with more than 80 players competing over the course of the Tournament, thousands of highlight clips are created each day, presenting production teams with the challenge of manually classifying, sorting and packaging clips for distribution to patrons across the various Masters digital platforms. With technology from IBM Watson Media, the creation of the clips is automated and the product is presented to production teams in a dashboard that helps streamline the organization and rapid assembly of highlight clips and packages. Designed and developed by IBMiX, the AI Highlights dashboard helps improve management and distribution of clips by enabling production teams to catalog, sort and select clips for download and distribution across digital channels and social media. 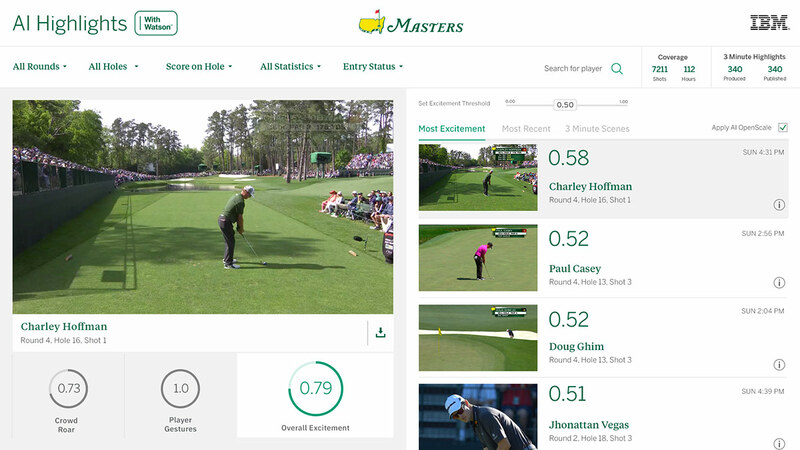 IBM Watson Media technology also helps the Masters tell the story of the Tournament by leveraging AI to automatically assemble highlight compilations of the most exciting moments of each golfer’s round. Known as the “Round in Three Minutes,” these video packages are enriched with metadata – such as the player’s name and the hole in which the stroke took place – and run against a set of rules that help ensure the best clips are included in the round summary. For example, when creating the compilation of clips, Watson can favor eagles or make sure the video package ends on the most exciting moment of the round. Once assembled, the Masters editorial team can review Watson’s work and add, remove or substitute strokes. 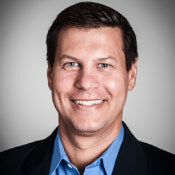 This new capability enables the production team to produce as many three-minute videos as desired while removing or adding any scenes or strokes they wish. The result is a robust solution that helps the Masters continue its tradition of excellence by creating a premier viewing experience for patrons across digital platforms. 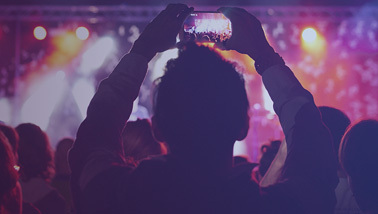 Interested in learning more about Watson Media’s AI-powered Video Highlights solution? Fill out the form found here or visit www.ibm.com/watson/media/video-highlights.